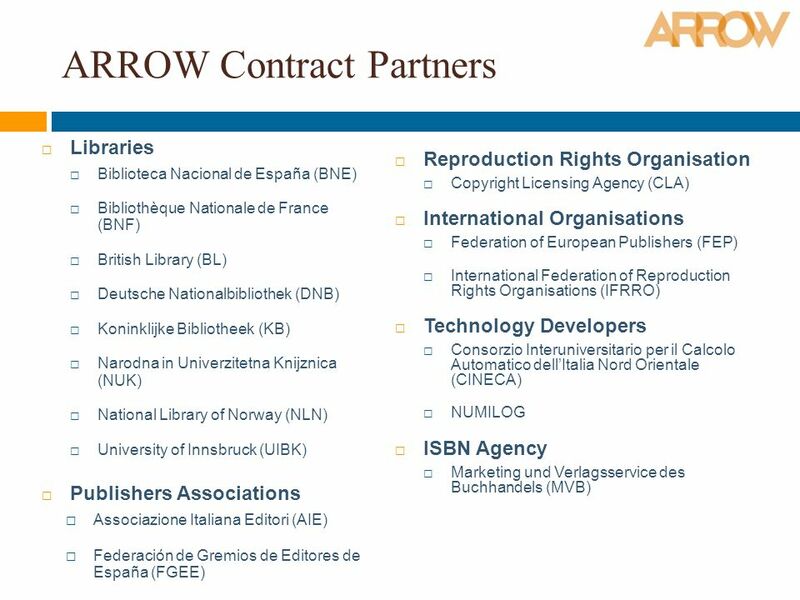 March 2010 Co-funded by the Community programme eContentplus www.arrow-net.eu. 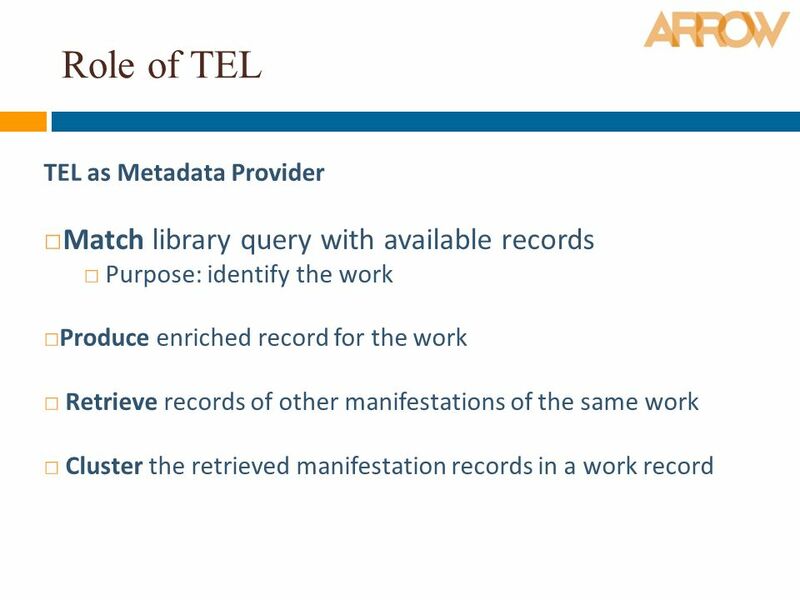 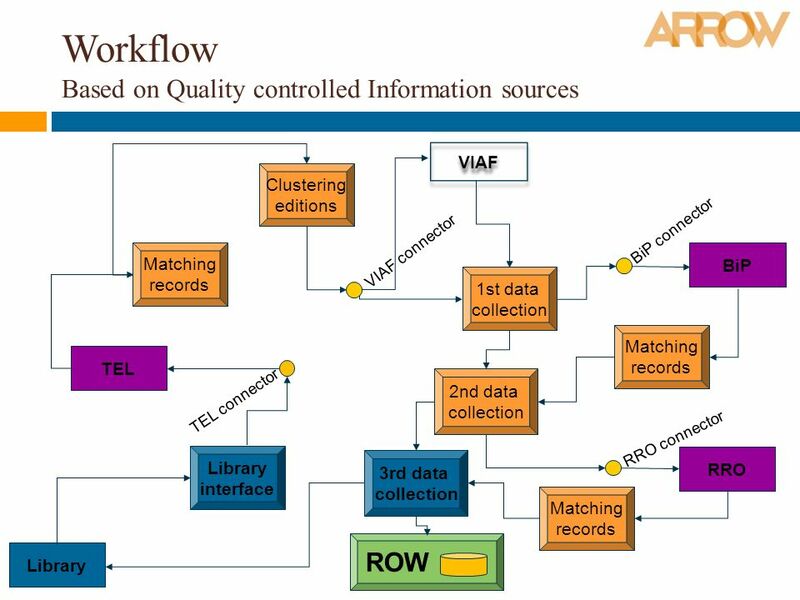 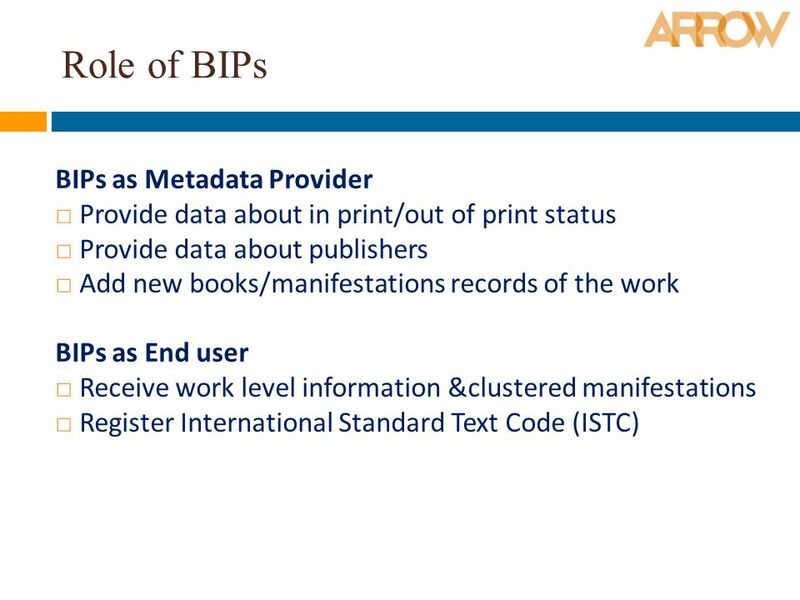 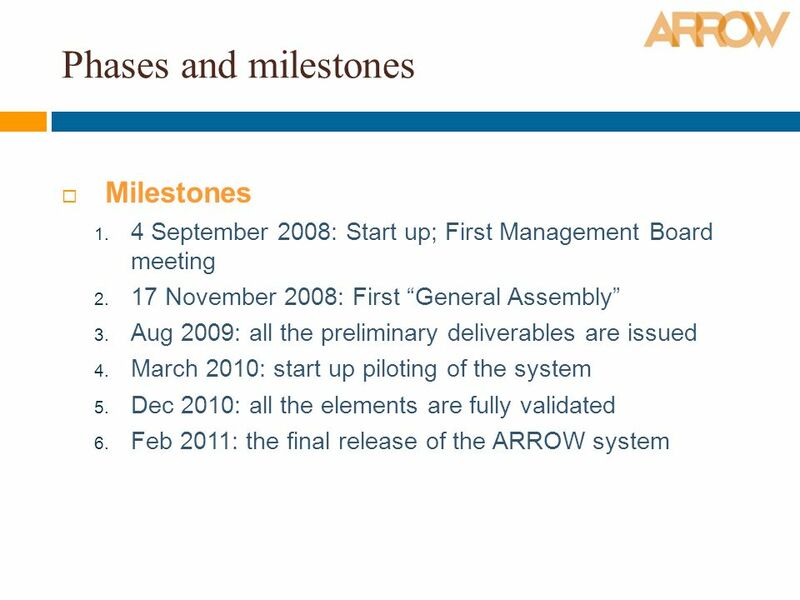 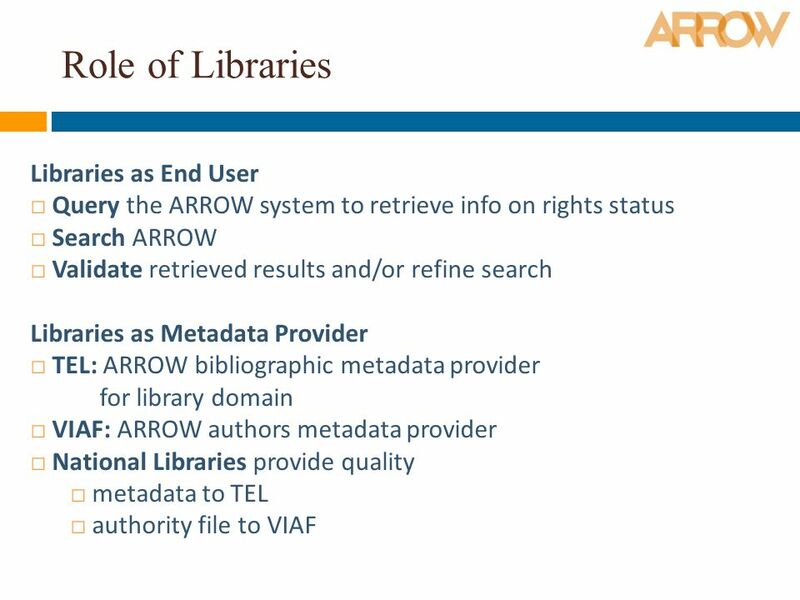 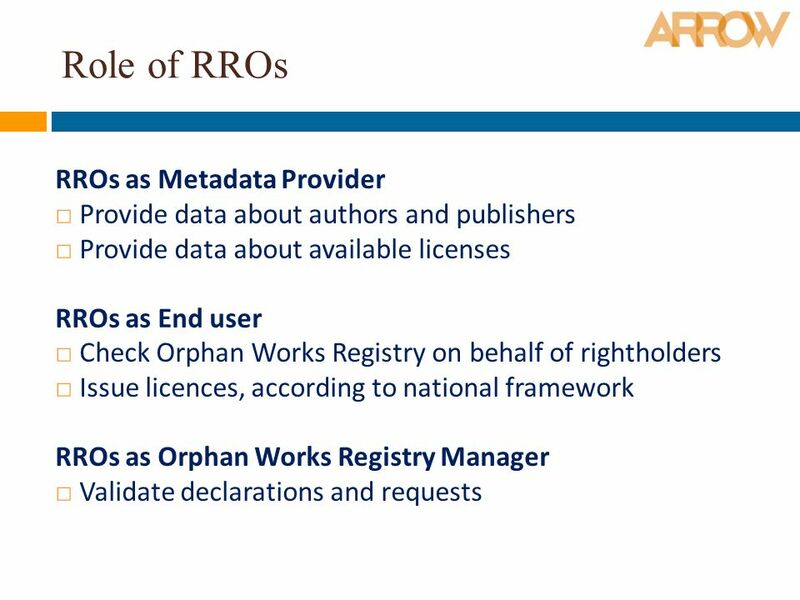 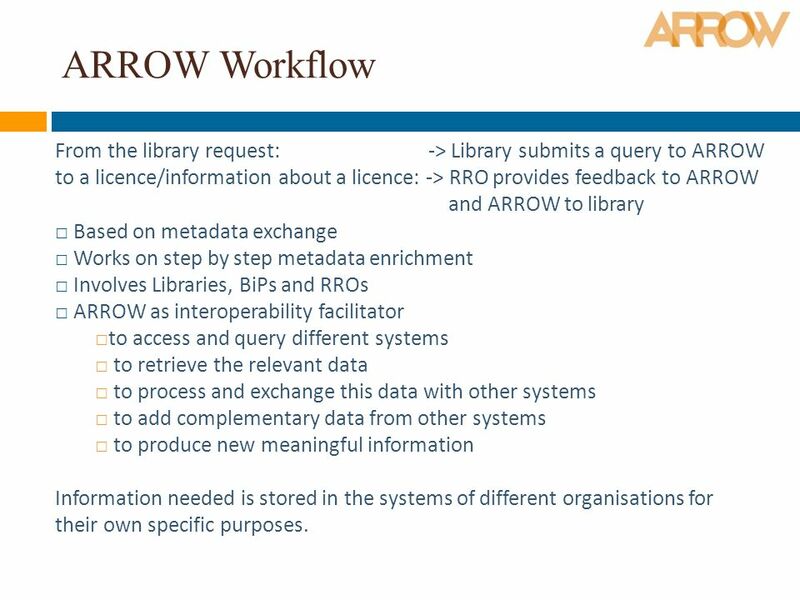 9 ARROW Workflow From the library request: -> Library submits a query to ARROW to a licence/information about a licence: -> RRO provides feedback to ARROW and ARROW to library Based on metadata exchange Works on step by step metadata enrichment Involves Libraries, BiPs and RROs ARROW as interoperability facilitator to access and query different systems to retrieve the relevant data to process and exchange this data with other systems to add complementary data from other systems to produce new meaningful information Information needed is stored in the systems of different organisations for their own specific purposes. 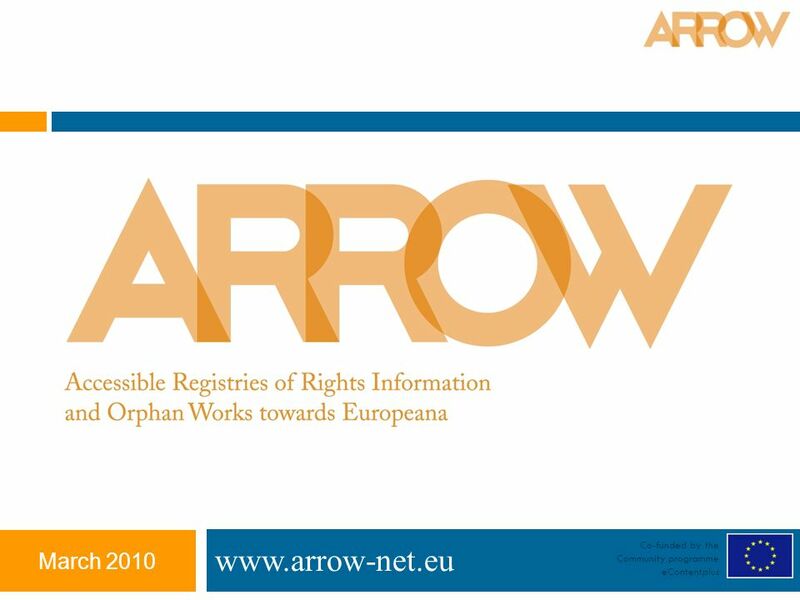 Download ppt "March 2010 Co-funded by the Community programme eContentplus www.arrow-net.eu." 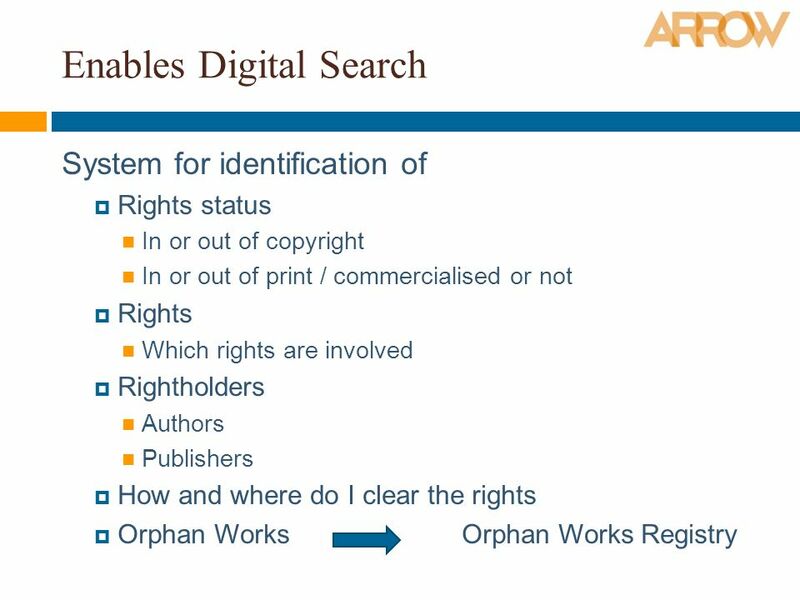 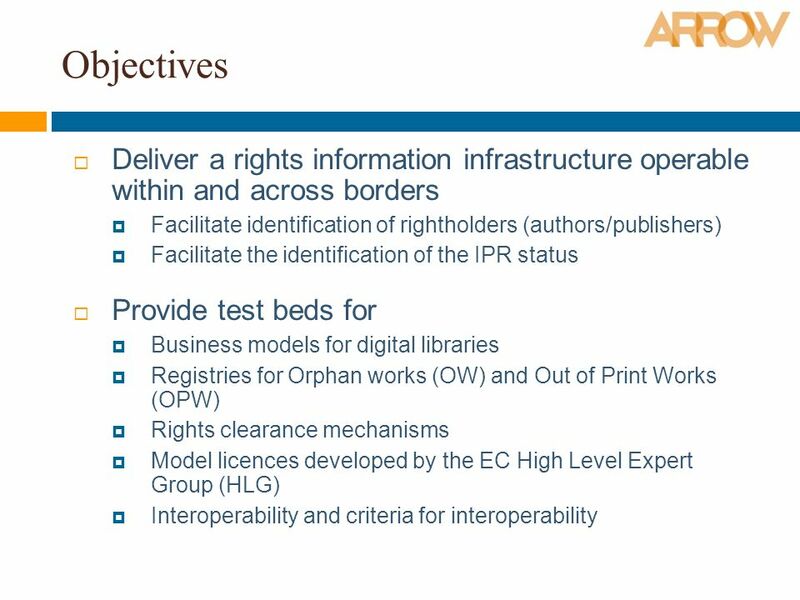 W.Koch: REGNET; 10/19991 Creation of digital goods (domain: Cultural Heritage, including libraries, museums, archives, galleries, etc) with emphasis on. 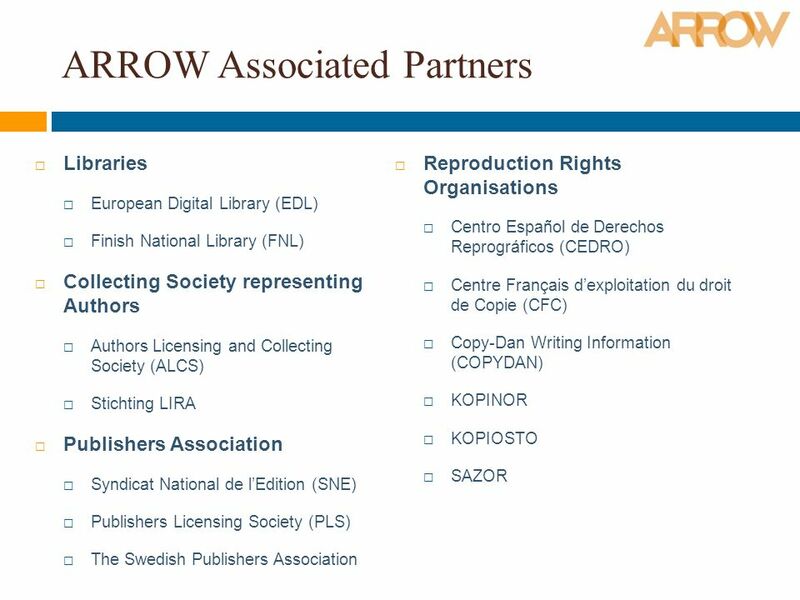 The Europeana Newspapers Project A Gateway to European Newspapers Online. 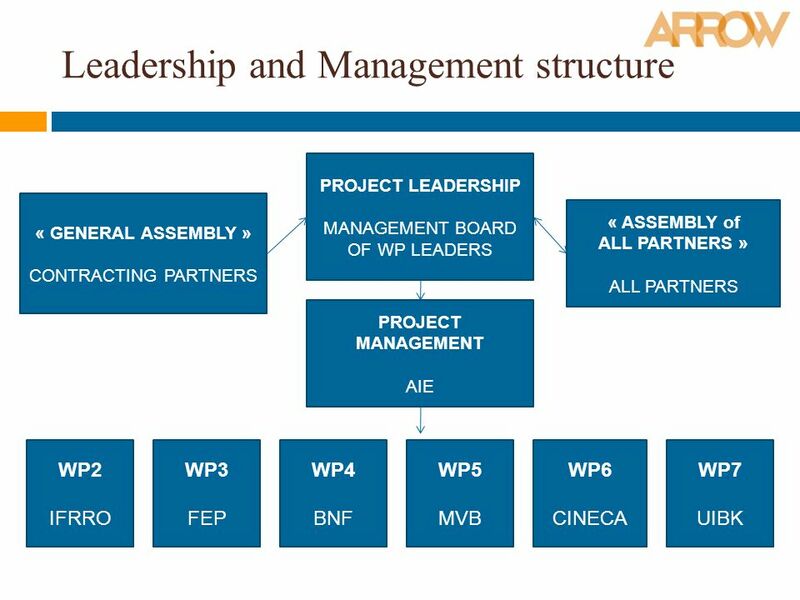 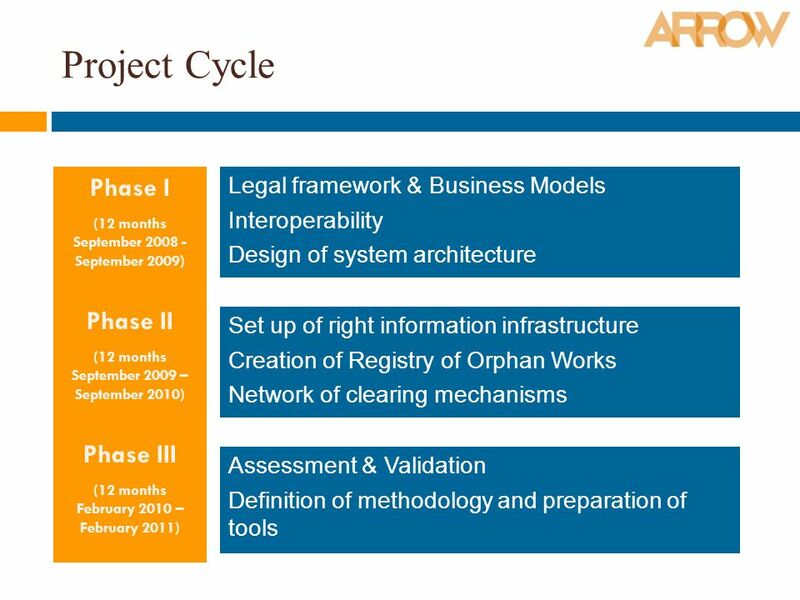 1 NECOBELAC Project WORK PACKAGE 3 Cross-national advocacy infrastructure. 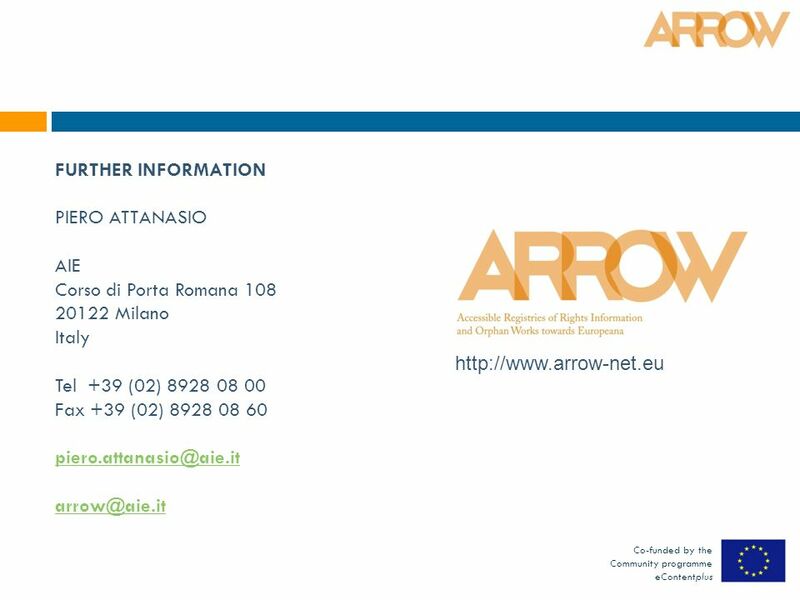 ARROW Plus is a Best Practice Network selected under the ICT Policy Support Programme (ICT PSP) DEMO or How does the ARROW system look. 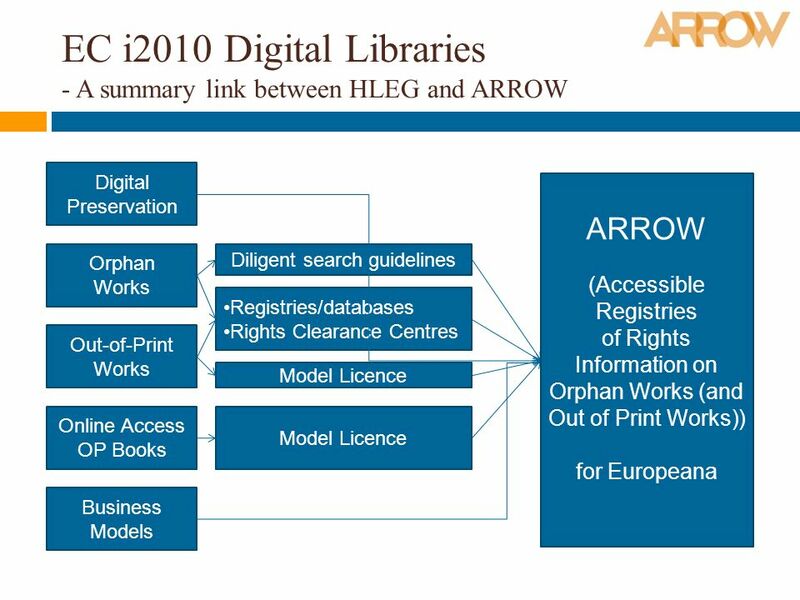 The European Digital Library Elisabeth Niggemann 1 Fiesole th Fiesole Collection Development Retreat March 2008. 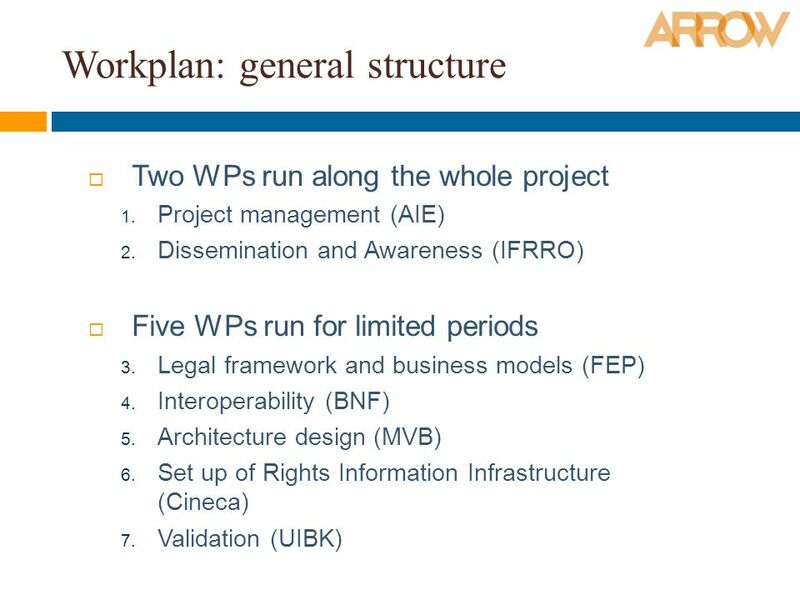 Accessing Cultural Heritage Out-of-Commerce Works MoU Olav Stokkmo, CEO of IFRRO Licence for Europe WG 3 4 March 2013,Brussels.